Local handset maker Walton has launched its new affordable smartphone in the tech market. Priced at Tk 4,599 only, the Primo EM2, is available at all Walton Plaza, brand and retail outlets across the country in two attractive colors of blue and black, said a press release. 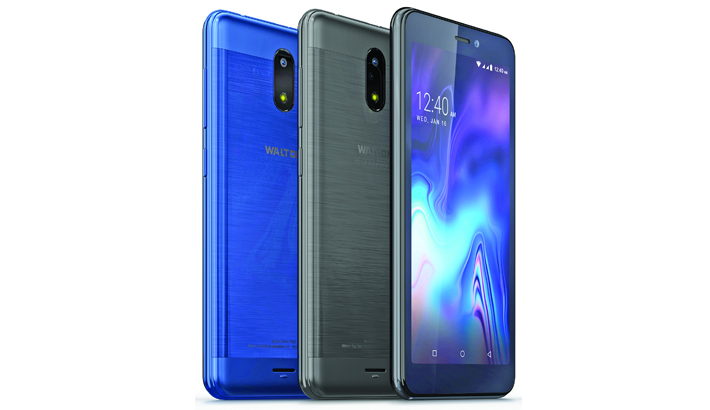 Asifur Rahman Khan, Head of Walton Cellular Phone Sales network, said the metallic design smartphone features a 4.95-inch new generation full-view display. It sports a 1.3 GHz Quad Core Processor, 1 GB DDR3 RAM, Mali-T820 GPU, 8 GB ROM (expandable up to 64 GB) along with 2920 mAh battery. The newly-launched device has BSI 5MP cameras on both sides with LED flash on back. Users can choose a set of attractive camera features including digital zoom, face beauty, touching photography, QR code scanner, time lapse etc. Customers will also enjoy instant replacement guaranty for 30 days for the phone along with one-year regular service warranty.